Nice to meet you! My name is Charlene. 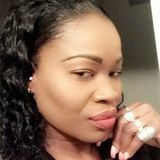 I love caring for children, .i cook ,clean and majored in English literature in my country Trinidad..i am punctual and organized..I live in New York,ny and look forward to helping your family. I hope we have the chance to chat soon!